Cuban doctors are teaming up with local medical centers to meet the medical demands of the millions of Guatemala’s wounded and destitute. 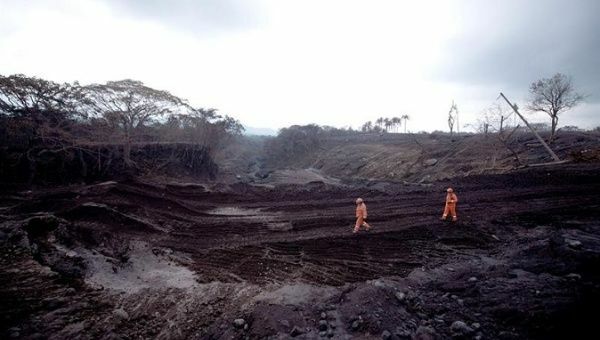 June 13 (teleSUR) A brigade of Cuba’s finest doctors is traveling to Guatemala after the nation suffered a disastrous volcanic eruption last week, Cuba’s Medical officials said Wednesday. A team of 20 physicians from the Cuban Medical Brigade (BMC) will join their 26 comrades who are working tirelessly to stabilize the communities most affected by the country’s recent natural disaster, beginning in the Escuintla department. Authorities have recovered at least 110 bodies and counted 197 missing people, 54 injured and more than 1.7 million affected in the Sacatepequez, Chimaltenango and Escuintla departments. Cuban doctors are teaming up with local medical centers, working 24-hour revolving shifts to meet the medical demands of the millions of wounded and destitute. Once again, Cuba’s health professionals have come to the rescue in the wake of another natural disaster. Over the last two decades, Cuba’s doctors and medical students have arrived at the scene and offered their services to victims. According to the Cuban Ambassador to Guatemala, Carlos de Cespedes, over 400 of its specialists are willing to participate in disaster aid. While Yuri Batista, the national coordinator of the BMC, says there are 431 brigade members with different specializations working in 16 departments in Guatemala. Among them are 245 doctors, 136 nurses, and other personnel. Some of them are already in their second or third medical mission. Thousands in Guatemala are protesting and demanding President Jimmy Morales resign after what they see as his government’s incompetent management of the tragic volcano eruption that took more than 100 lives. According to demonstrators, state authorities reacted slowly to signs of the Fuego volcano’s impending eruption. Guatemala’s volcanology institute reported volcano activity since the early morning on Sunday and recommended the National Coordinator for the Mitigation of Disasters (Conred) evacuate the population in danger several times before the eruption, but the requests fell on deaf ears, EFE reports. Just after the volcano erupted and security and rescue forces were mobilizing to aid in the situation, President Morales announced they wouldn’t use “a single penny” for the emergency. In the meantime, there is continuing volcanic activity in the country which has led to Guatemala City’s La Aurora international airport to temporarily suspend operations on its only runway on Wednesday due to ash after the Pacaya volcano increased activity, a week and a half after a violent eruption from the Fuego volcano killed more than 100. “This is a preventative measure taken to safeguard the lives of passengers and aircraft safety,” Guatemala’s civil aviation authority said.